Take your lunch to school or days out with this Frozen lunch box and water bottle. 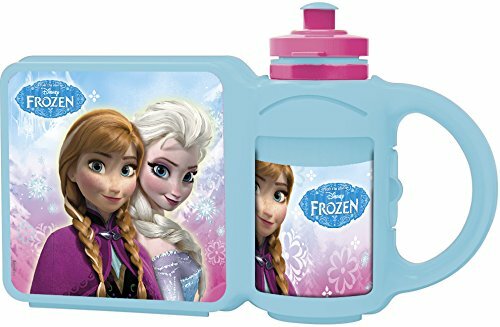 Its container will keep your food fresh, while encouraging a healthy hydrating habits with this re-useable drinking bottle.The fun loving character Frozen print on the side will keep you looking fabulous too. This lunch box has a wipe-clean surface for easy cleaning, and an handle so you can carry it easily. It can hold bread sandwich up to 12cm X 12cm (Approx).